First, I want to say that we are so thankful to share that our family and all of our animals are happy and healthy, without any injuries from Hurricane Irma. Pre-hurricane preparations were priority for all of our safety and now we are focusing on the clean up and looking forward. There is an extensive amount of tree and fence damage but with all of us working together the clean up is advancing quickly. It has put many things into perspective and has taught us not to take a single day for granted and to be very thankful for all that we have. Our thoughts and prayers are with all of the other families recovering from the storm. 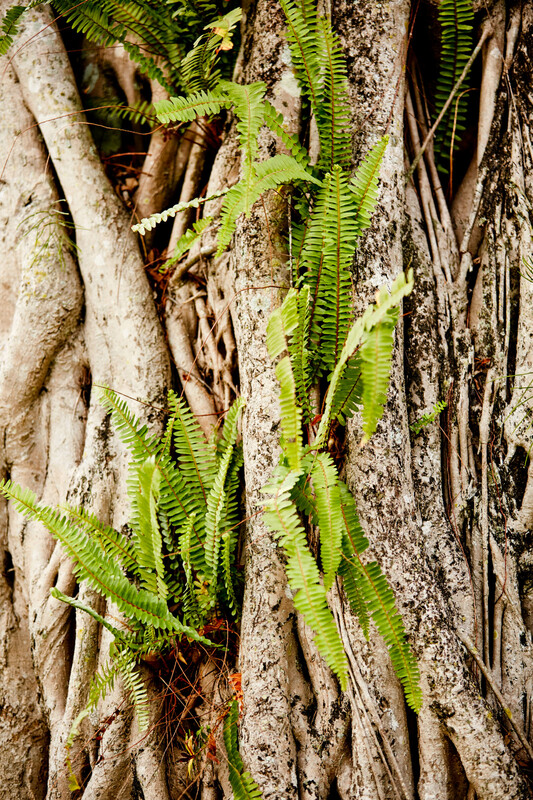 Where we live in Florida, we are lucky enough to have Banyan trees. Even luckier, we have multiple ones growing on our property. One of them is just to the right of our house and is the first thing your eyes go to as you come down the driveway. Our driveway even wraps around this beautiful tree so you can turn around it, also making for a perfect circle if the kids feel like riding their bikes. This tree is one of the focal points that adds some extra whimsy and mystique to the landscape here at Blue Stallion Farm. 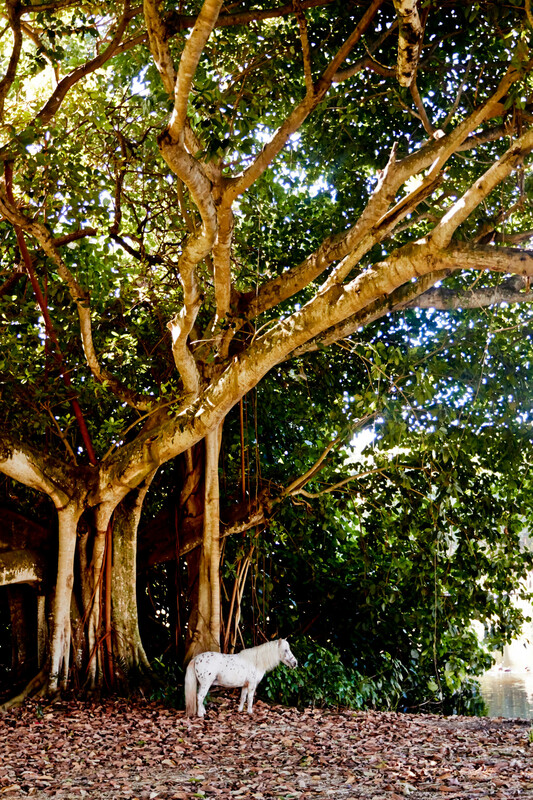 Banyan trees are the largest ficus tree growing in our area and are also native to India where it is the national tree. 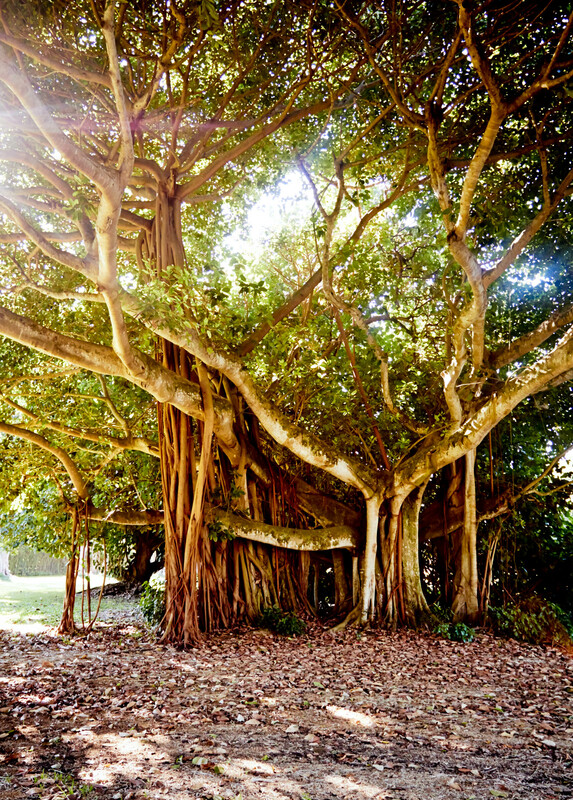 The largest Banyan tree alive today is in India and covers 4.7 acres. How incredible is that?! These trees are strangler figs meaning they grow from seeds that land on other trees. They send down roots that smother their hosts and grow deeply into the ground creating branch-supporting pillars that resemble tree trunks. They also have a lot of aerial roots which hang down from the limbs which look as if you could swing on them. These magical trees create a mysterious world when you walk around and under them. They also provide an abundance of shade which is always welcome down here when it’s hot and sunny outside. The shaded areas they create for us are perfect spots to sit and rest with a glass of water or to throw down a blanket and have a picnic lunch. 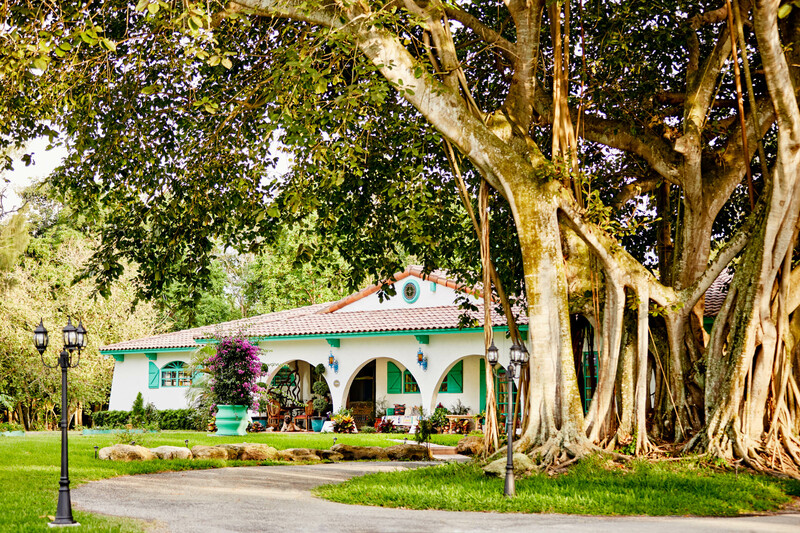 We love that our Banyan trees add such a unique look and feel to the landscape. What are some of your favorite trees and plants? We learned more about Banyan trees here and here. 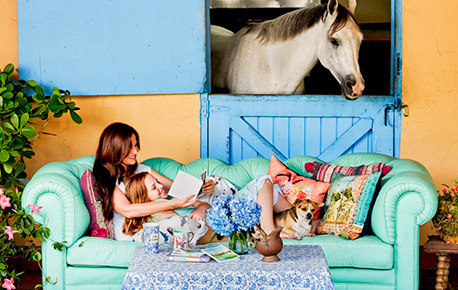 Blue Stallion Farm is our home. 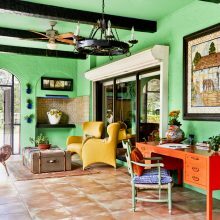 It's where we all cook in the kitchen together, making our family’s favorite recipes, roam the grounds outside, live amongst the animals (we currently have 6 dogs, 2 cats, 1 pig, 11 horses, 3 zebus, birds and chickens!) and enjoy a bright and happy retreat everyday with our children, Benjamin, Shana, Hanna and Misha. We invite you to continue the journey with us, whether it be adventures in the kitchen, out on the farm and in the barn, sharing in our family’s inspiration or following us along on our many travels! 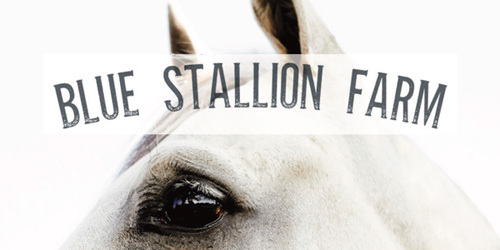 © 2019 Blue Stallion Farm. All Rights Reserved. Website by Loki Loki.